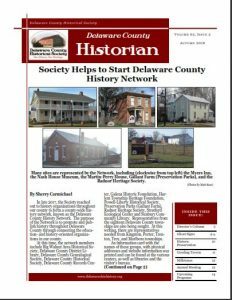 The Delaware County Historian is published at least biannually by the Delaware County Historical Society, Inc. Contributions of original historical research concerning Delaware County, Ohio, are welcome. Click the link/image to display an index to the articles in that issue.